In the summer of 2018, Dr. Austin H. Johnson and team members from the Campaign for Southern Equality, including our Community Health Programs Director Ivy Gibson-Hill, traveled across the South to tackle the question of why trans and nonbinary Southerners endure disproportionately challenging experiences when it comes to their health. Through a series of focus groups that included nearly 50 trans and nonbinary people from six southern states, Dr. Johnson and our team heard so many stories that outlined numerous barriers to quality healthcare for trans and nonbinary Southerners. The findings from this research are housed in The Report of the 2018 Southern Trans Health Focus Group Project, published by the Campaign for Southern Equality and Western NC Community Health Services. The report is a part of our collaborative Southern LGBTQ Health Initiative. As Dr. Johnson listened to trans and nonbinary folks share their experiences, he couldn’t help but compare them to his own – and he found some startling parallels between what the focus group participants shared and his own experience beginning medical transition in 2010 while living in South Carolina. For years Austin had been seeing a therapist who helped him grapple with early thoughts that he is transgender. And by 2010, when Austin decided to undergo medical transition, his therapist wrote a letter recommending the step, underlining that Austin was ready and met the requirements for the process. Generating the letter is a difficult process, one that requires lots of self-reflection. Austin felt like he hit a wall and had to return to his therapist to ask for a recommendation for a provider who would help him take this important next step. She gave him the name of a provider, and Austin set up an appointment. The provider gave Austin the prescription without instructing him on how to use it, which needles to use, where to inject it, how to prepare for the injection, or anything like that. And to make matters worse, when he went to fill the prescription, he was turned away from a few pharmacies who said they did not fill this type of medication. Remembering how uncomfortable his experience was at the clinic and feeling like he’d receive no direction or help there, Austin turned to the Internet. He searched “transgender man testosterone injection how to” and came across dozens of YouTube videos from transgender people who had faced similarly negative medical experiences marked by a lack of compassion. Austin eventually learned how to administer his testosterone shots, but the discomfort he faced in 2010 has stuck with him. 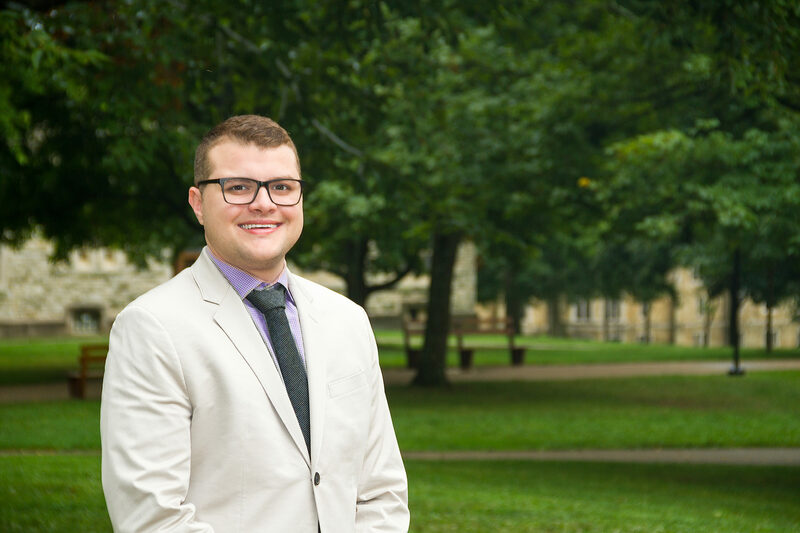 And it’s part of why he is passionate about researching LGBTQ people’s experiences with health care, whether it’s through the Southern Trans Health Focus Group Project or at Kenyon College, where he works as an Assistant Professor of Sociology. From his work with the Focus Group Project, Austin learned that many trans and nonbinary Southerners share similar challenges with regard to healthcare. That leaves trans and nonbinary folks who don’t live in areas with a wide range of provider choices in a lurch: Either go without critical care or, at their own expense, travel two or three hours to larger cities to receive care. At the end of the focus group report, we share recommendations for providers on how to be more affirming and welcoming to trans and nonbinary people. One of the easiest changes? Using patients’ correct pronouns and names – even if it means updating intake forms or training staff members on why this is so important.